Proving that good electronic dance music can come from absolutely anywhere in the world, just 1210KM east of Australia is a group of islands known as New Caledonia, right in the heart of the southwest Pacific Ocean. 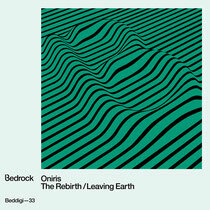 It’s here that you will find Oniris, the producer behind Bedrock’s latest release, ‘The Rebirth | Leaving Earth’, and the creator of possibly some of the most sublime melodic techno that you will hear this year. Up until now, this young producer has been picking up praise and support from some of the world’s most forward-thinking artists and DJs. When Laurent Garnier is waxing lyrical about your talents on his radio show, and your tracks are highlights in the sets of DJs such as John Digweed, Agoria, Psycatron, Marc Romboy and Ian O'Donovan, it’s easy to assume that somethin very special is going on! Have a listen below, it’s released on March 11.